They played the new album they recorded with the “Angry Dead Pirates” from Toulouse under the French label from Marseille “Pariah ! Records. Pariah! 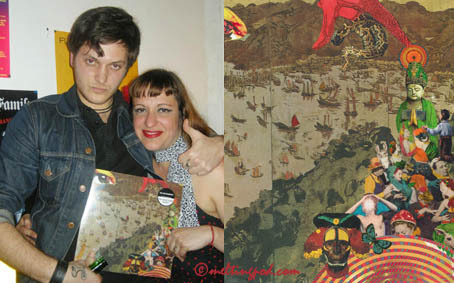 Records’ hot team : Erika and Alex presenting the Movements’ and Angry Dead Pirates’ new album released as a vinyl ! !